Free Download & Setup Auto Dialer, ICTBroadcast installation script to setup Voice and Fax Broadcasting . Before proceeding with ICTBroadcast installation please make sure that you meet following minimum requirements. A fresh installation of CentOS 7.x (x.64) on dedicated server with Minimal server installation option without any additional software or control panel installed . 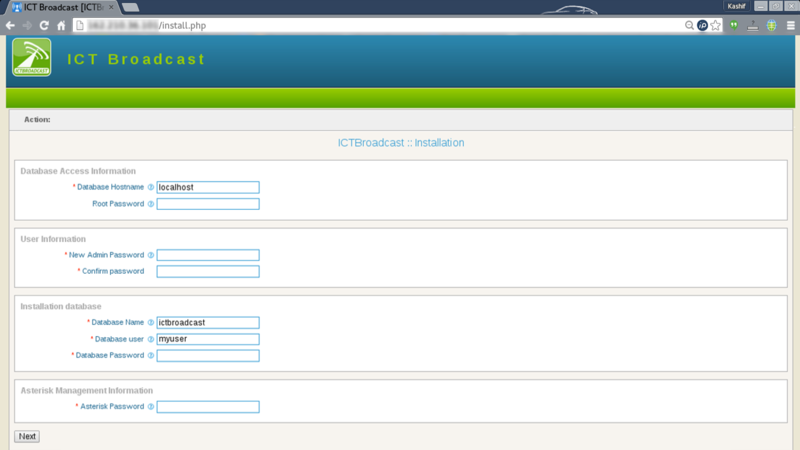 First of all install EPEL repository, it will provide all required dependencies required by the ICTBroadcast. Fill the form, choose admin password and note it and then click on submit. It will setup ICTBroadcast on new server and it may take several minutes so be patient. when done you can proceed with product registration. 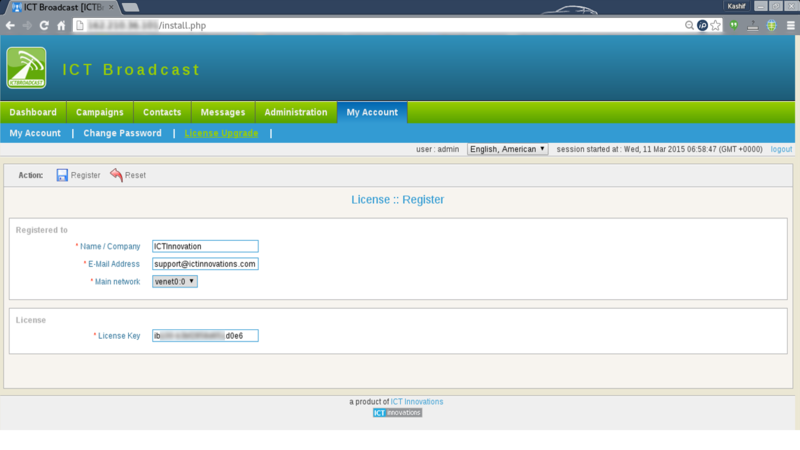 Finally, login at service portal. and then click Services -> My Services and then click on details in front of corresponding service / product. here you can find your license key.